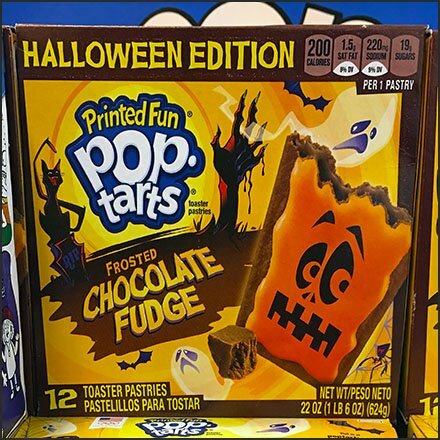 The “Printed Fun” treats and Halloween Edition Pop Tarts Display Rack reinforce the Holiday theme right into and out of the both the shopping cart and the toaster. One just hopes they are not too scared for small kids to eat. Adult Pop-Tart eaters, no problem. This Halloween Edition Pop Tarts Display Rack in-store merchandising rack seen at Giant, Bartonsville PA.